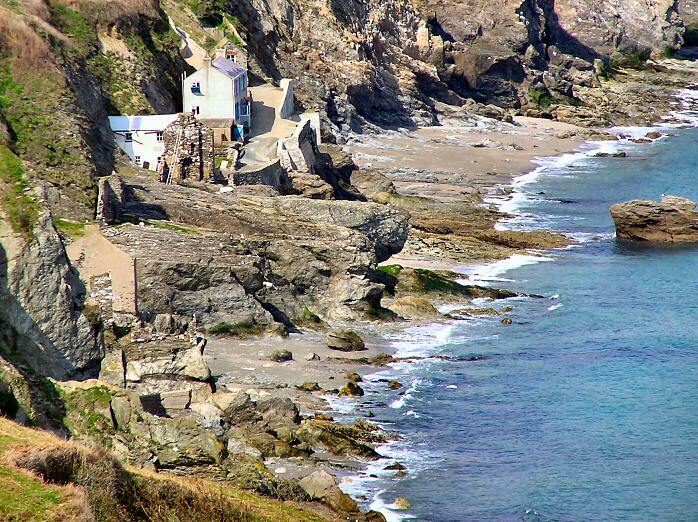 Hallsands was a village on the shores of Start Bay, facing east and sheltered from the south-west by a steep cliff. First settled in 1611 it was protected from the sea by a beach of sand and shingle. However, in 1897 a major dredging operation began not far from the village and, within a few years, the level of the beach fell by about twelve feet. Several buildings were damaged or destroyed in storms during 1903 and 1904. A new sea wall was built and some buildings were repaired but the level of the beach continued to fall. Another major storm in January 1917 caused further devastation, and the village was abandoned.